Today is 211 Day across North America! 211 Day is a public awareness initiative for the award-winning service that helps guide people through the complex network of human services by phone, online, and in some areas by text. The 211 network now reaches more than 26 million Canadians, providing an important gateway to community, social, non-clinical health, and related government services. 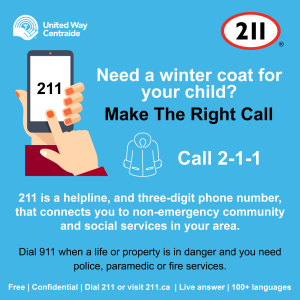 This year on 211 Day, United Way Centraides, 211 ambassadors, and provincial 211 helpline service providers are informing Canadians how to ’make the right call’. Encouraging Canadians to dial 2-1-1 for non-emergency services can help reduce congestion on 911 dispatch lines, and helps ensure they are accessing the right type of assistance. 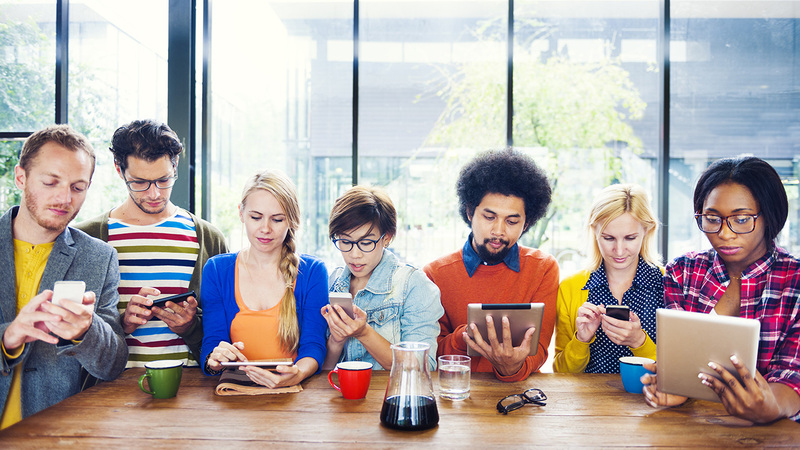 211 experts can make sense of social, health and government services information that is often buried on websites, social media channels, e-newsletters, and spread throughout the network of partners and community leaders. Canadians should always call 9-1-1 for a life-threatening emergency, when a property is in danger or a crime is in progress that requires the police, fire or paramedics. 211 is a three-digit number that helps Canadians navigate the complex network of human services quickly and easily, 24 hours a day, in more than 150 languages. United Way Centraide is a proud partner in offering the award-winning service in communities across the country. Visit 211.ca to see what 211 service is available in your area.